Victor Vekselberg was acquitted today by a Swiss court in Bellinzone of charges of illegal stock market manipulation in his 2006 takeover of Oerlikon, a major Swiss enterprise. 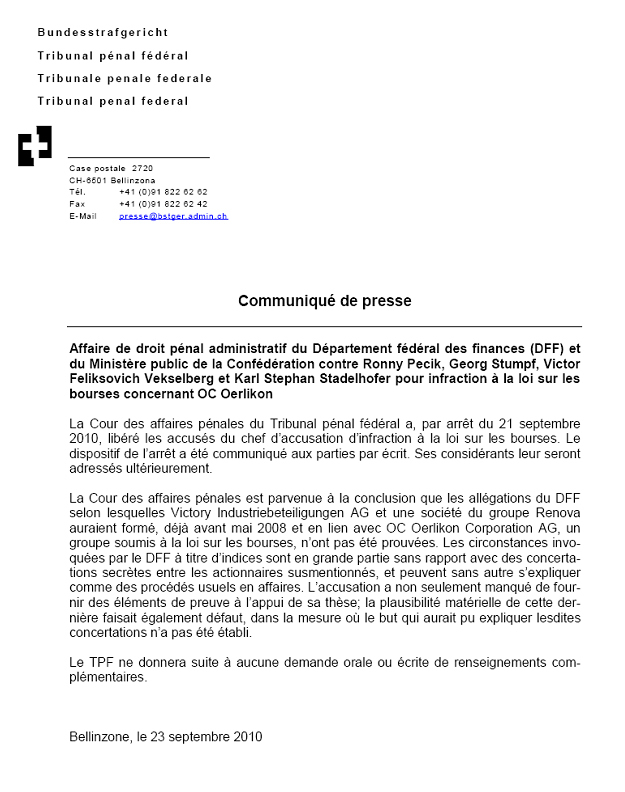 The Federal Penal Tribunal has just issued a communiqué, announcing that it has dismissed the Swiss Finance Ministry’s case against Vekselberg and his associates. Vekselberg had appealed the case conviction and the fine of 40 million Swiss francs imposed on each of the three accused; the fine amount represents the government investigators’ calculation of double the share price advantage the men had secured for themselves. The court commenced hearing the appeal last week. A full judicial opinion will be issued shortly. Today’s announcement indicates that the three presiding judges ruled that the charges “have not been proved”. They added that “material plausibility” of the charges “has not been established”. 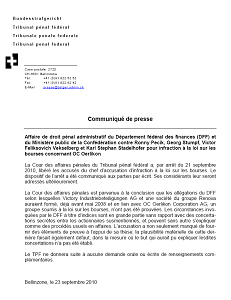 Click to read the announcement in French.